Flipkart is one of the most famous Indian online shopping sites. I know I am too late in writing this Flipkart online shopping review since most of you would have purchased atleast once from Flipkart by this time. Still I thought to share my review of online shopping done from Flipkart. 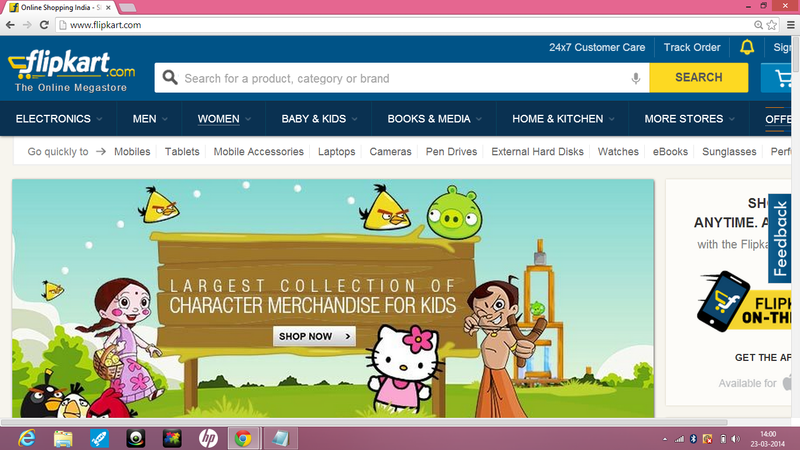 I have purchased many times from Flipkart.com and most of the time shopping experience have been amazing. Everytime I got the delivery in maximum of 3 days and all the products were nicely packed in new condition. I will share my 2 online shopping experiences from Flipkart where the experience have been slightly different than usual. Recently I made an order of 2 home appliances, hand blender and a chopper and I got the confirmation email immediately that my order has been confirmed and expected delivery date was written. Then I got another email from Flipkart confirming me the shipment of hand blender. The next day I got the mail conforming the shipment of chopper. I got the chopper delivered the very next day but the hand blender which was supposed to be delivered a day prior didn't even reach me after 3 days. Then I received a message on 4th day that my hand blender would be delivered today but unfortunately even that day I dint received the order and a message came in the evening that the order could not be delivered due to heavy load. Next day was Sunday, so I finally got my order of hand blender delivered on 6th day. This was not a big problem but normally I expect Flipkart delivery in 3 days but this time it was just double. In another order I ordered a tablet of 9000/- approximately. I got the tablet delivered the 3rd day. The tablet was nicely packed and was in brand new condition but somehow how I could not open the back cover of the tablet. I tried and tried but failed. I spoke to Flipkart customer care regarding this, they also assisted me this, but cover didn't open. Finally the Flipkart team said that they would give me replacement of this. After 2 days their courier person came to take the tablet back and when the product was checked at their end, a new tablet was dispatched to me. But unfortunately I faced the same issue in this tablet again so this time I myself requested if they could me another replacement. But their team didn't agree saying that since the problem is same they could give 2nd replacement. I had 1 -2 discussions with them , even asked them If I could order something else of this amount but the Flipkart team said that this is not in their policy, so they would refund me the complete amount. But I was really sceptical about this since I knew they would take the product back, then inspect it and then give me refund which was a long procedure but since I didn't had any option I agreed for the refund. Their person came after 2 days, then my product was checked in next 2 days and finally they initiated the refund from their side and I got my total money back in 10 days. I was so so happy after this because I was really doubtful if I would ever get my money back. But after that my trust on Flipkart increased much more that they even refund money back after sending the product 2 times just for the sake of customer satisfaction. I am very very happy with Flipkart Online Shopping and will always continue to shop with it. Its truly one of the best sites in India for online shopping. Only thing I find missing in Flipkart is that it does not have try and buy facility in apparel section which would be extremely helpful to avoid size issues. Rest Flipkart is a a wonderful site for online shopping.